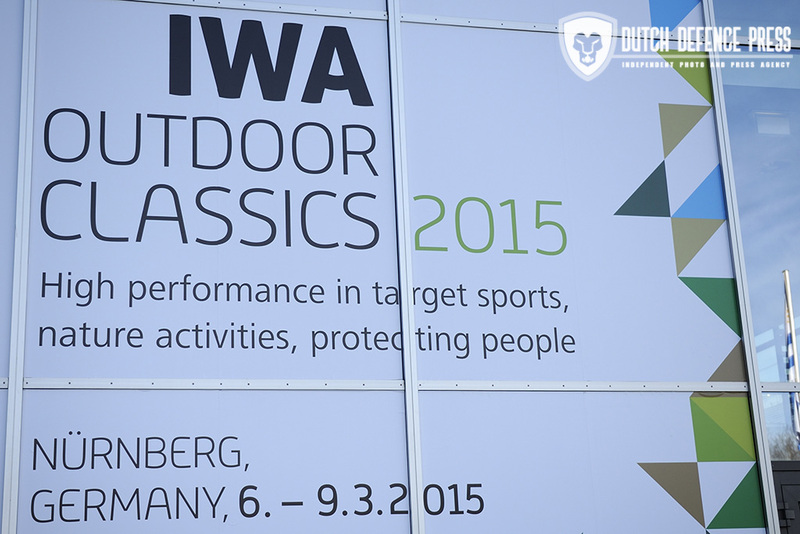 IWA OutdoorClassics – the world-leading fair for Hunting Guns and Outdoor Equipment. 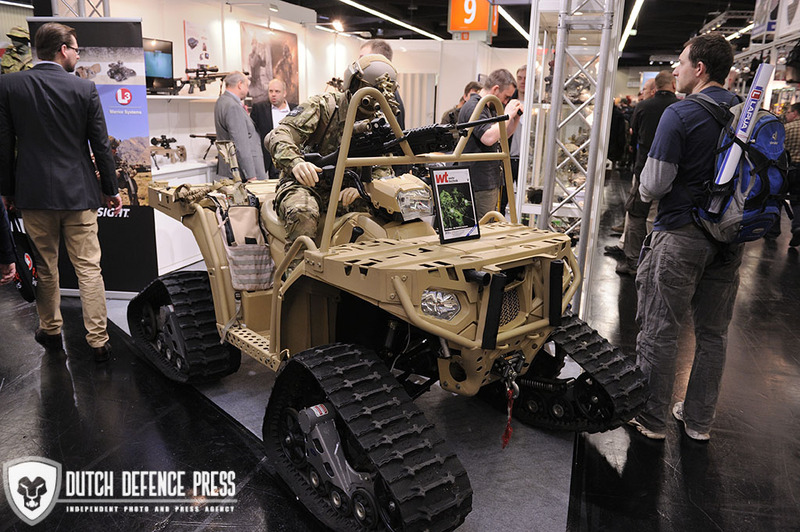 That is how they call it, but in recent years the show in Neurenberg, Germany has seen a steady rise in law enforcement and tactical product on display. 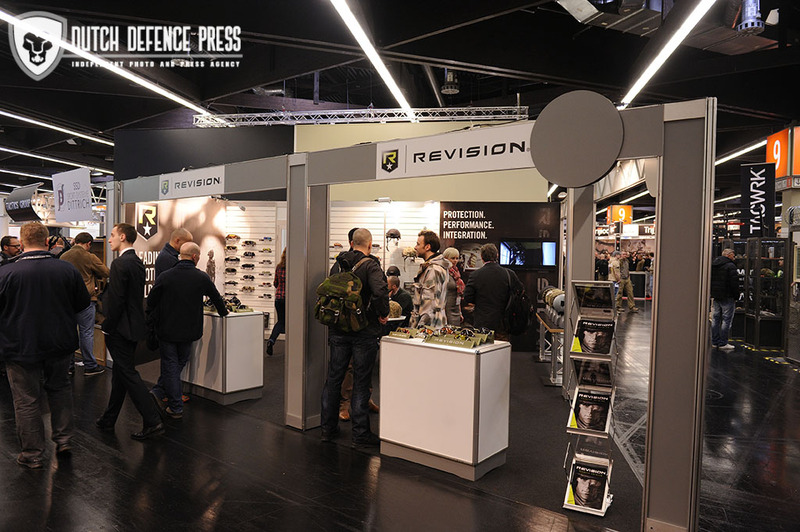 The rise had been so big that a few years ago the organizers decided to group as much LE and tactical stands in one hall. A great decision for visitors who don’t want to wade past hunting clothes and antler stands. 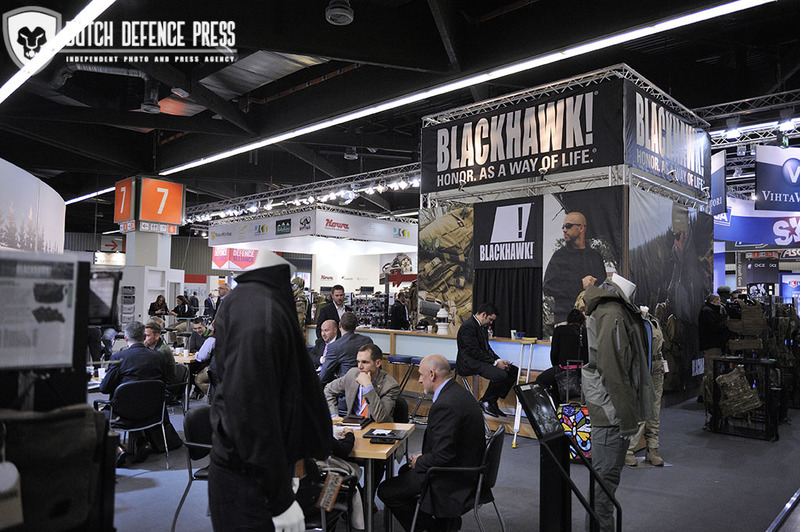 The scale of this trade show is pretty big with a total of 1383 exhibitors from around the world. 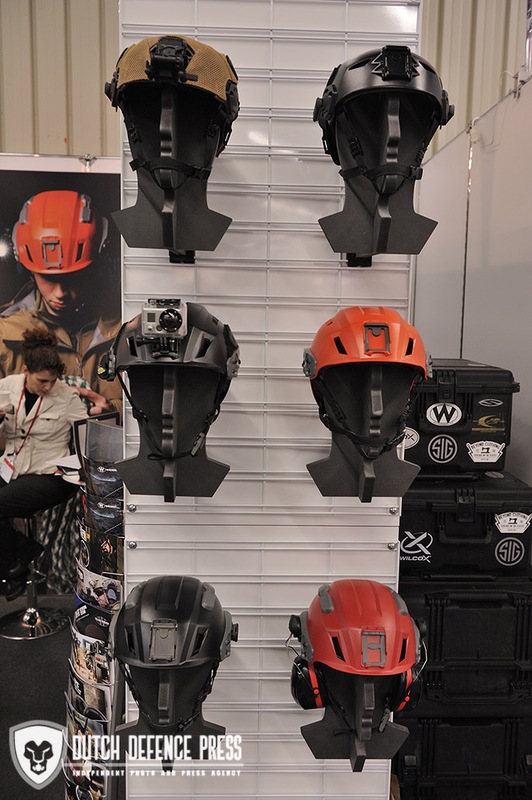 As a trade show it is not possible for the general public to come and visit, but still 41748 trade visitors managed to gain access to the show, representing 123 countries. That is according to the IWA organisers. An increase from the previous year. 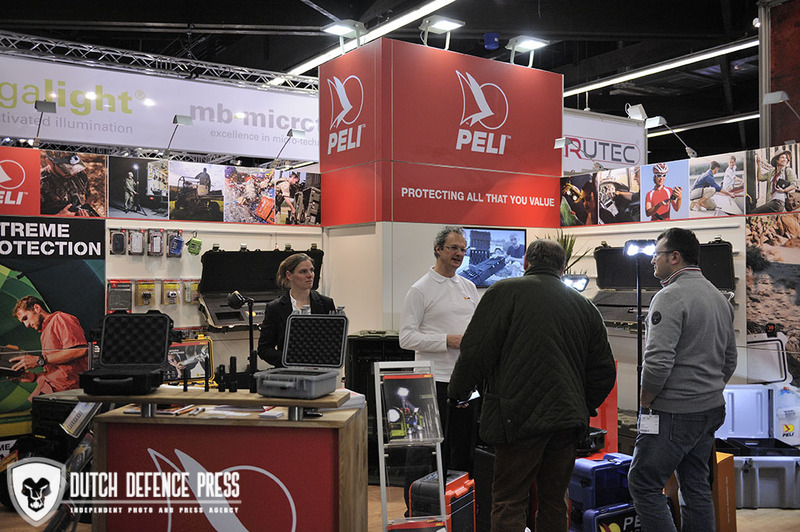 The importance of this show in southern Germany can be measured by the international companies that attend. 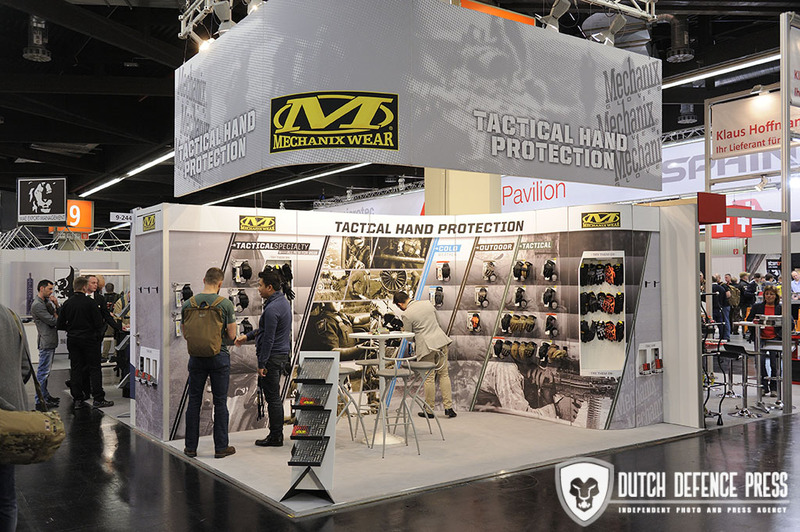 A lot of overseas companies have themselves represented by their local distributors and local sales force. A wise decision considering the cost of travel. 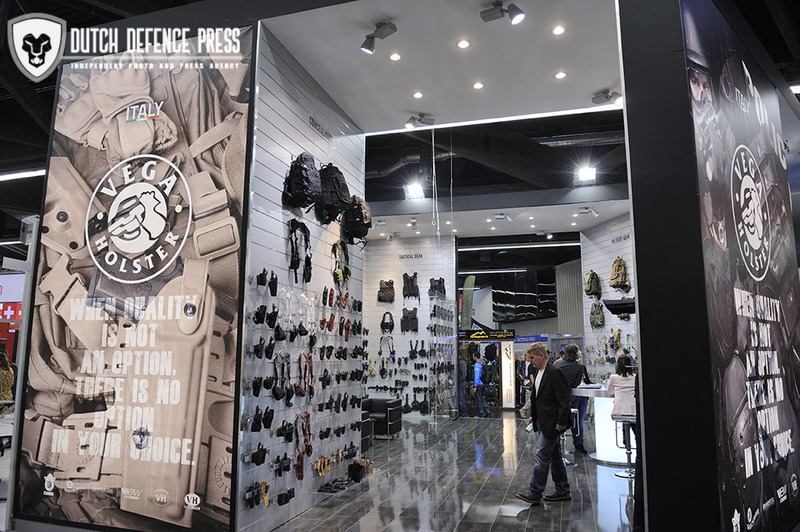 But other companies decided to attend themselves and get a taste of this European market. One such company is first time attendee FrogLube from the USA. 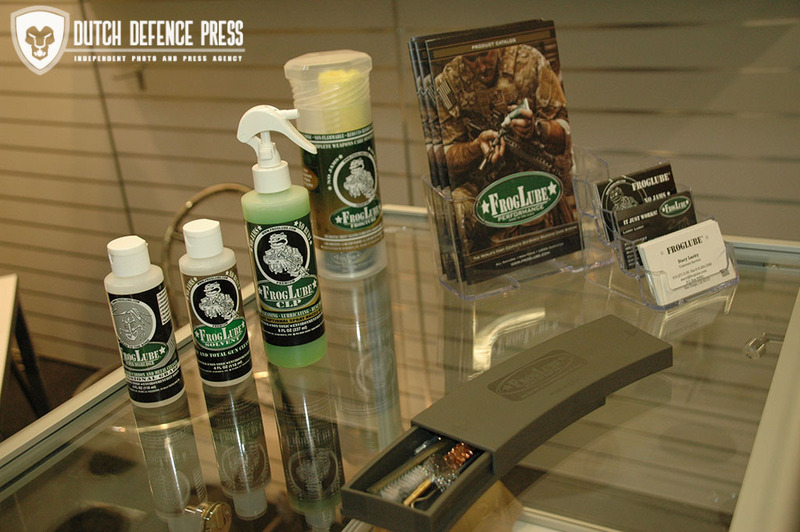 Founded by former Navy SEAL officer Larry Lasky, this family run business in ECO friendly gun-cleaning and lubrication product is steadily gaining ground in the gun-care business. 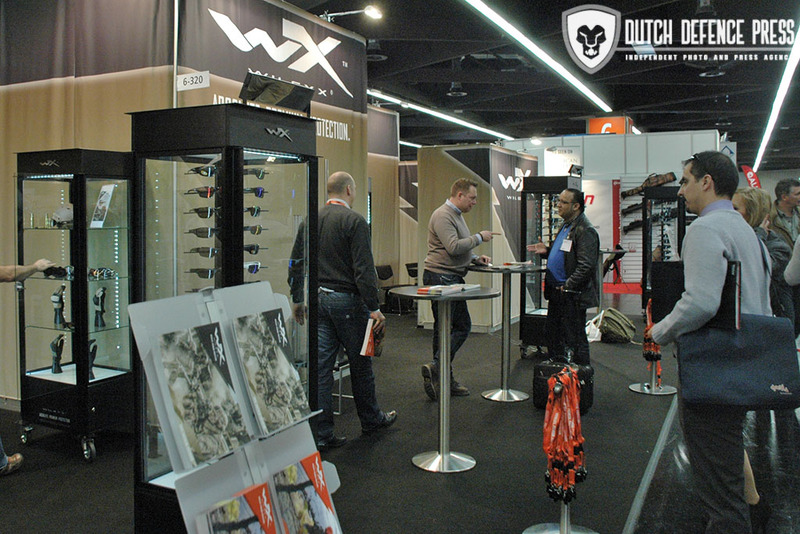 The whole team, supported by European distributor Applied Orange from the Netherlands, had a great time meeting with and talking to visitors from many European countries. 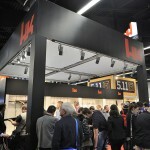 It gave them a chance to show their revolutionary products and get an understanding of new markets. 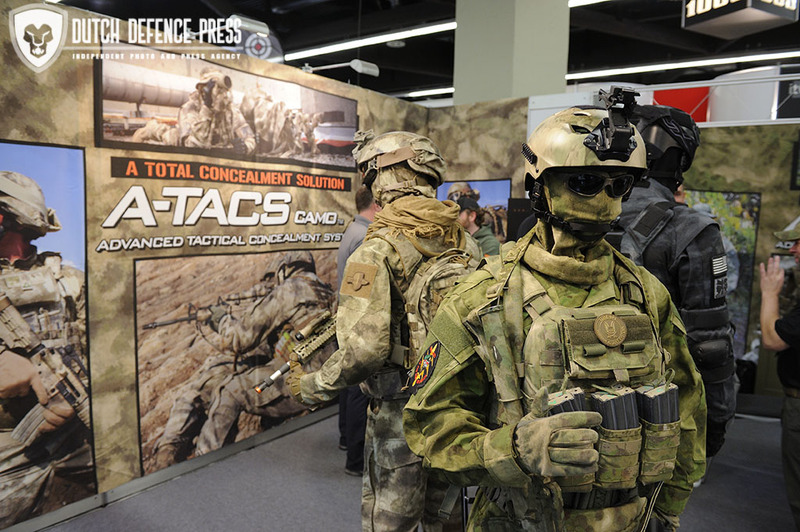 Another US company with a heavy delegation was ATACS, the camouflage pattern makers. They used IWA to introduce a new pattern called iX. 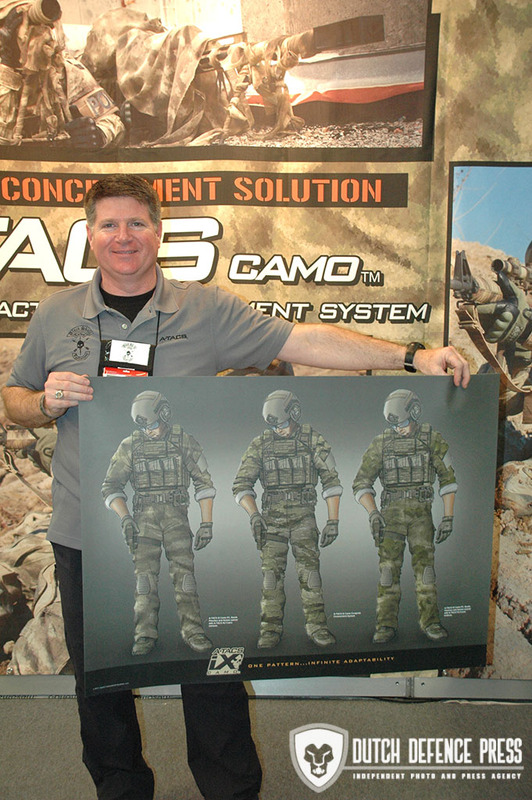 This new pattern is a cross between ATACS-AU and ATACS-FR and basically meant for hardware like vests and backpacks. Explained by former Green Beret Clint Hoover, designer Phil made a giant leap with this pattern, creating more depth and combining the best features of the two. The advantage is that hardware in iX can be used in combination with both AU and FR pattern uniforms, reducing costs to the end-user. 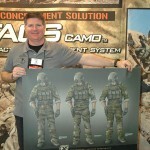 But the iX pattern will also be available for clothing, resembling a bit like the old tiger-stripe pattern of the Vietnam era SOG units. 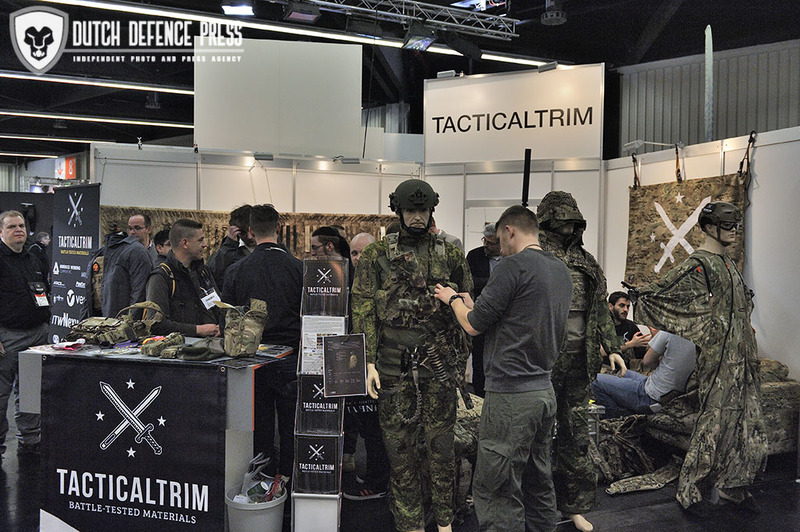 Over the next few years all ATACS patterns will be updated and this year a new white pattern called ATX will be added to the range. 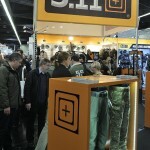 American manufacturer 5.11 Tactical even had their CEO Tom Davin over to meet the European crowd. 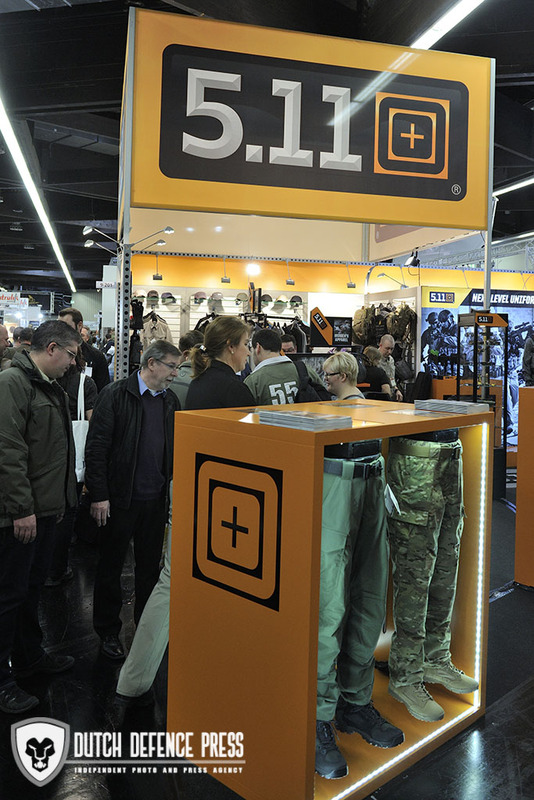 5.11 Tactical was at the IWA on a large scale. 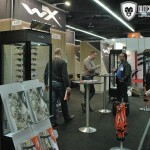 Introducing new products in fab colours and their representatives did a good job on talking to IWA visitors about them. The Americans were out in force, basically like they always do and testament to their organisation level. But as said before, most were represented by their European agents. 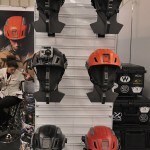 But that didnâ€™t take away from the cool products on show. 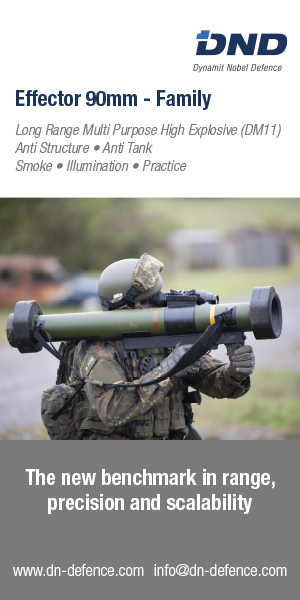 Companies like Bayco Products Inc with their Nightstick items and Red Rock outdoor gear. 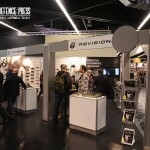 Maxpedition was also present on a large scale with well wanted items like patches and small arms carrier bags. Magnum representatives introducing their latest footwear. As did rival footwear company Bates. 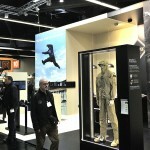 TRU-SPEC was also present showing their latest H2O Proof outerwear. With the great success of the movie American Sniper, Wiley-X presented their products including a version of the same sunglasses Bradley Cooper wore in the movie. It is such a huge success, new customers have to pre-order their sunglasses. But the European companies were out in force too. 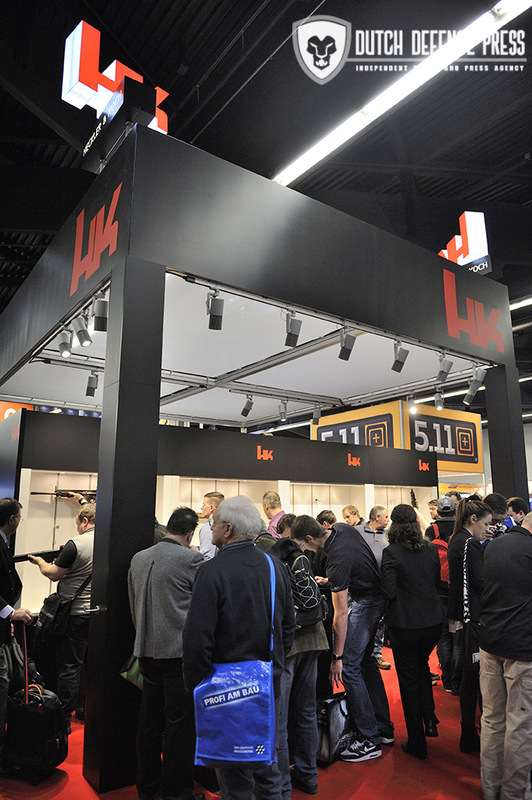 German gun manufacturer Heckler & Koch showed their newest models of the HK416 and HK417 and their line of handguns. Like always, the chance of really holding a gun drew lots of people to their stand. 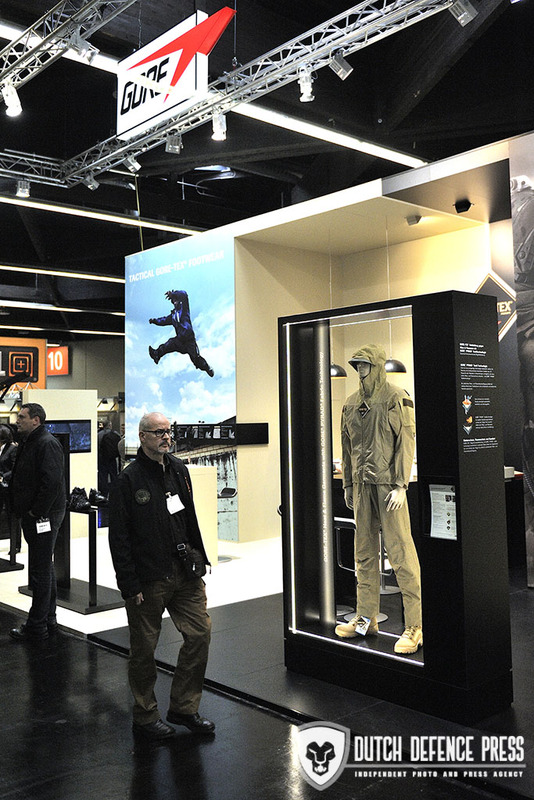 Other gun manufacturers like Glock had stands in other halls of the show, probably because they have a different view of their clientele. 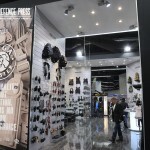 Israeli hydration specialists, and flip-flop maker, Source showed some new items they are adding to their growing line of hydration products. 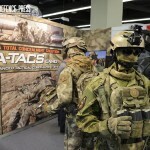 They have been expanding their portfolio steadily over the years and can now provide everything from small one liter packs to large backpacks with integrated hydration bladders. 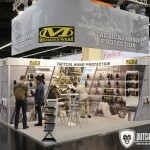 If you are interested in tactical clothing and other textile items, IWA was heaven. 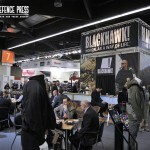 All big companies were present, like HelixonTex from Poland, Pentagon from Greece and many others. Anything can be found at the show. 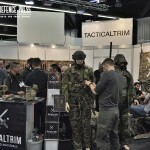 TacticalTrim from Germany showed lots of items used in the making of packs and tactical equipment and also showed the first prototype of Applied Orange’s RECCS (Risk Environment Civilian Clothing System). RECCS is designed to give fire retardant protection in clothing used in a less tactical environment while not sticking out as a sore thumb. 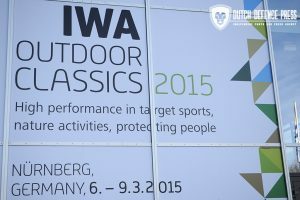 All in all, our short visit to this year’s IWA was a good one. 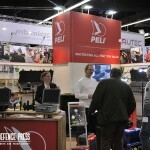 We got to see lots of interesting new products and talked to many people from the industry. Even made some new friends. We even got to meet some celebrities like Instructor Zero. That guy is so fast, he was gone before we even had a chance to take an obligatory selfie with him. Next time, instructor Zero, next time. 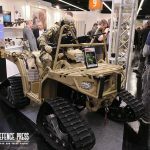 Previous article De VECTOR: het ultieme Special Operation Forces-voertuig die de commando's altijd al hadden willen hebben.